For some unexplainable reason, one of Hollywood’s earliest movie makers, Harry M. Revier, has been completely overlooked by most film historians. L.L. Burns, who later started Western Costume Company, and Harry Revier joined together to form Burns and Revier Studio and Laboratory in 1912. 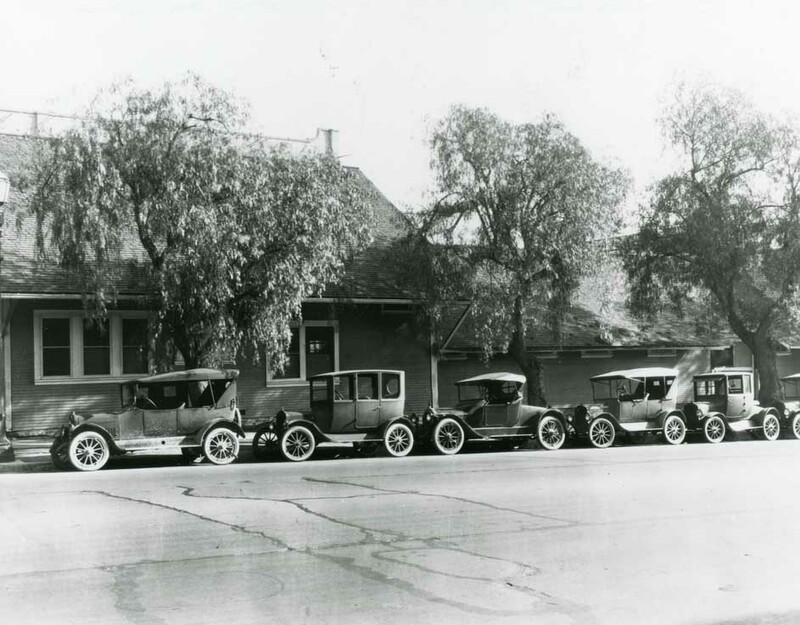 In early 1913, after vacating their first studio at Hollywood and Sunset Boulevards, they leased from Hollywood resident Jacob Stern, some property and a portion of a barn at the southeast corner of Vine Street and Selma Avenue in Hollywood. The barn was L-shaped, with one of its faded yellow wings facing Vine Street and the other stretched back, parallel with Selma Avenue, into an orange grove. Adjacent to the east side of the barn, Revier built a 40 x 60 foot wood platform stage and covered it with sheets of muslin to control and diffuse the intense sunlight. Dressing rooms, an office and a small laboratory to develop films were established in the Selma wing of the barn. Stern, who lived across the street, retained the rest of the barn for his horses and carriages. During the next few months, Revier made several films starring James Horne at this location. With production sporatic, the studio was rented to other independent film producers. While Harry Revier was busy filming in Hollywood, Cecil B. DeMille, a stage actor, director and producer; Jesse Lasky, a theater man; Samuel Goldfish, a glove salesman, and Lasky’s brother-in-law; and a lawyer named Arthur Friend, banded together to form the Jesse L. Lasky Feature Play Company in 1913. They persuaded Dustin Farnum, one of the biggest stars of the day, to star in their first film, “The Squaw Man”. In December, 1913, DeMille, Farnum and a small troupe went west from New York to begin filming their first movie. They planned to set up production in Flagstaff, Arizona. When they arrived, they realized that the scenery was too desolate and unsuitable for their needs. They re-boarded the train and continued on to a place they had heard of called Hollywood. Looking for a place to film their first production, DeMille sub-leased the Burns and Revier Studio for four months at $250 per month, with a three year renewal option. DeMille moved into the east wing of the barn while the owner of the property, Mr. Jacob Stern, continued to keep his horses in the other half. Whenever the horses were watered, the water ran through into DeMille’s office and the director was forced to wear galoshes or put his feet in the wastebasket. 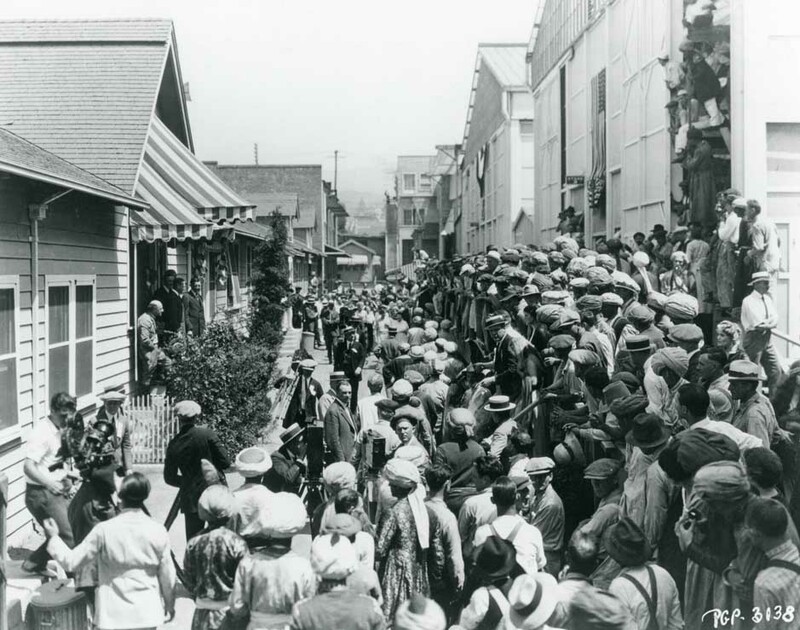 Production of “The Squaw Man” began on December 29, 1913 with many of the exterior scenes being filmed Utah, Wyoming and in the foothills of Hollywood . Directed by Oscar Apfel and Cecil B. DeMille, the film was completed in 1914 on a budget of $15,450 and grossed over $225,000. After several films were successfully completed and distributed, the studio began to expand rapidly, and within eighteen months, it occupied the entire block. In 1912, a Hungarian immigrant named Adolph Zukor embarked on a career that would carry him to the top of the motion picture industry. While owning and operating a penny arcade, complete with “peep” machines, he installed a motion picture theater on the floor above the arcade. Movies, or “flickers” as they were called then, captured Adolph’s imagination -- he wanted to make movies. 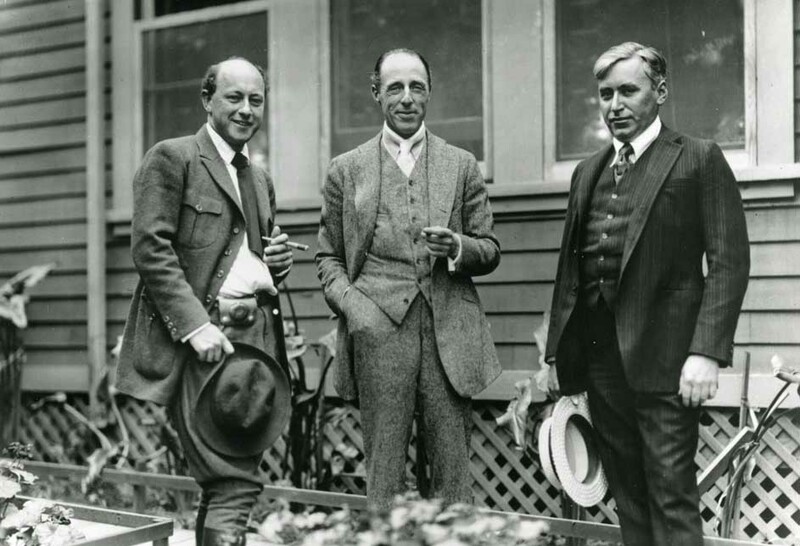 After exploring several possibilities, he formed a partnership, in 1914, with Charles and Daniel Frohman and created Famous Players Film Company. With a studio in New York, they made their first film, “The Prisioner Of Zenda:, which opened successfully in 1914. The following year, the film company sent a production unit to Hollywood and purchased the Fiction Pictures studio at Melrose Avenue and Bronson Street. Fiction Pictures was headed by Louis Joseph Vance and made only one film, titled “The Spanish Jade.” A few weeks after purchasing the studio, Famous Players sold the studio to the Clune Film Producing Company. For a while, Mary Pickford rented space at the studio. During the period of 1915 and 1916, Famous Players produced scores of film, including “Prince And The Pauper” and Silks And Satins” both starring Marguerite Clark, “Nearly A King” staring John Barrymore, “Madame Butterfly” and “The Eternal Grind” both starring Mary Pickford. On May 8, 1914, William Wadsworth Hodkinson founded and became president of a nationwide film distribution company, called Paramount Pictures Corporation. One week later, several film producers, including Zukor and Lasky signed five year contracts to distribute their films. Under the terms of the contract, Paramount would help producers finance and advertise their pictures and for this Paramount would receive 35% of gross revenue while the producer would take 65% of film profits. After several months, many of the film producers began resenting the amount of profits they shared with Paramount. Zukor tried to get out of his contract once he realized how effectively distribution controlled the film market. When Paramount refused to release him from his contract, Zukor confided in his friend, Jesse Lasky and the two devised a plan to turn the tables on Hodkinson. They began purchasing as much Paramount stock as possible and by the corporation’s July, 1916 annual board meeting, they controlled the majority of the company’s stock. Hodkinson found himself ousted from the presidency and replaced by Zukor’s appointee, Hiram Abrams. Many other well known actors were in the studio’s stable of stars, including Ernest Torrence, Tully Marshall, Pola Negri, Blanch Sweet, Mae Murray, Marion Davies, Geraldine Farrar, Rudolph Valentino and many, many more. movies -- “Mantrap”, “The Shiek”, “The Ten Commandments”, “The Covered Wagon”, “Wings”, “Beau Geste” and “The Sign Of The Cross.”, just to name a few. The Famous Players-Lasky studio continued to grow, and by 1920, it occupied two square blocks bounded by Vine Street, Sunset Boulevard, El Centro Avenue and Selma Avenue. By 1925, the Famous Players-Lasky Corporation studio at Sunset Boulevard and Vine Street was in desperate need of more space. So, in 1926, they purchased and moved to the former United Studios at Melrose and Van Ness Avenues, embarking on a massive modernization and expansion program. When completed, the facility was one of the largest and most modern in the industry. The old studio plant at Sunset and Vine was immediately demolished, except for the old barn used in the making of “The Squaw Man.” The historic barn was moved to the new studio location where it was later used for a variety of purposes, including the studio gymnasium. 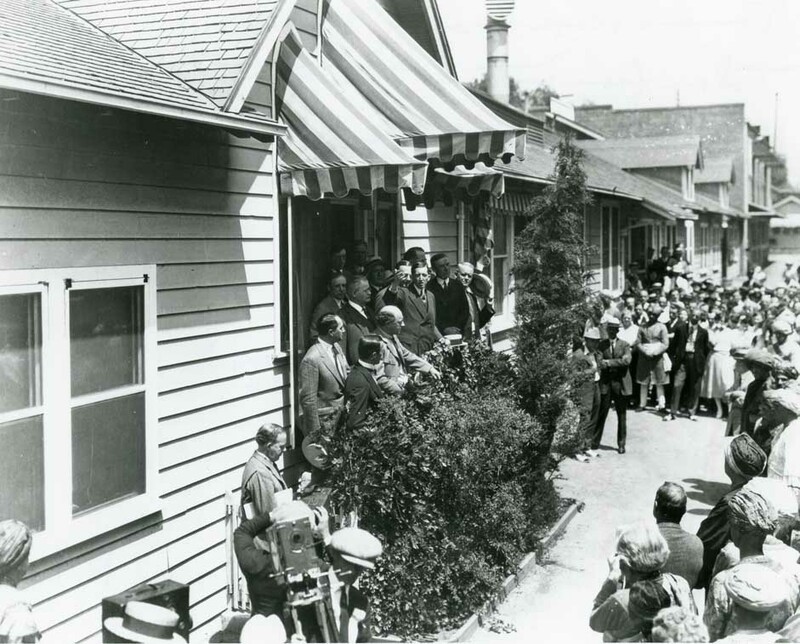 Forty years later, on December 27, 1956, the barn was dedicated as California Landmark No. 554 in a ceremony attended by such movie moguls as Jesse Lasky, Cecil B. DeMille, Adolph Zukor, Frank Freeman, and Samuel Goldwyn. In 1979, the barn was donated to the Hollywood Chamber of Commerce for use as a historic tourist attraction and museum. It was moved to a temporary site on Vine Street, north of Hollywood Boulevard -- just two blocks from its original location. 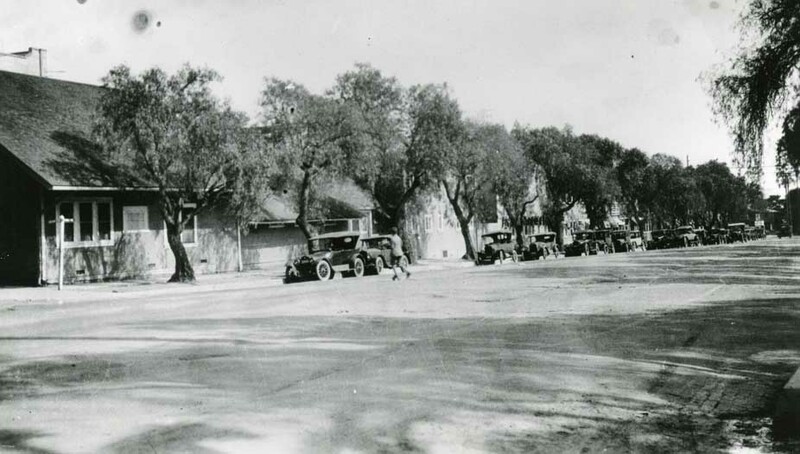 Here it stood for years until the Hollywood Heritage, a historical society, took charge of the barn and eventually had it moved to its permanent location on Highland Avenue, across from the Hollywood Bowl. In 1927, the studio’s name was changed to Paramount-Famous-Lasky Corporation and in 1930, it again changed, this time to Paramount Publix. During the depression years, the company fell on hard times and many attempts were made to get rid of Zukor. His over-expansion of the studio, its theater chain and the reduction in film production eventually forced Paramount Publix into receivership. Within eighteen months, Zukor reorganized the company as Paramount Pictures and successfully brought the company out of bankruptcy. Later he was elected Chairman Emeritus, a position he held until his death in 1976, at the age of 103. Paramount Pictures won critical acclaim starting with the first Academy Awards presentation on May 16, 1929. That year, Paramount’s “Wings” was voted the best picture and Emil Jannings won the “Best Actor” Oscar for his performance in “The Way Of The Flesh” and “The Last Command”, both Paramount productions. Since then, many of Paramount’s pictures have been honored by the Academy of Motion Picture Arts and Sciences. Throughout the years, Paramount has maintained a reputation for high quality pictures, providing entertainment for millions. Some of the more memorable productions turned out since World War II, included “The Ten Commandments”, “White Christmas”, “Shane”, “The Greatest Show On Earth”, “Sunset Boulevard”, Gunfight At The OK Corral”, “Godfather” and “The Great Gatsby”, “Raiders Of The Lost Ark”, “Witness”, “Fatal Attraction”, “Saving Private Ryan”, “Braveheart” and “Forest Gump.” Since the eighties, the studio has had multiple owners and today it is owned by Viacom. Visit the hollywoodphotos.com website to view the largeaat collection of vintage Hollywood photographs. All the photos are available to purchase.